The lead image, “Shopkeeper“; Macon, Georgia (September 3, 1941) is located in the People event. 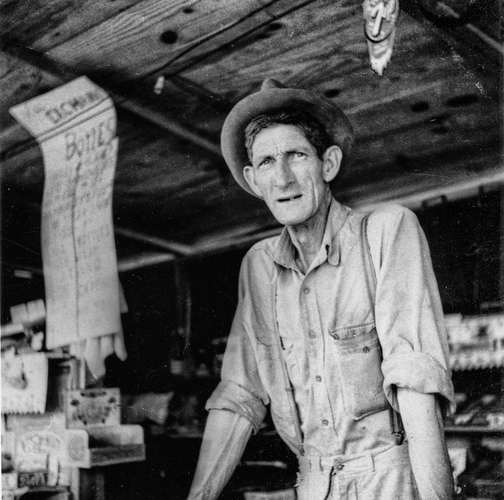 The weary, haunting stare of a Depression era shopkeeper. This is DPI’s homage to Dorothea Lange’s “Ditched, Stalled and Stranded” photo taken in the San Joaquin Valley, California (1935). 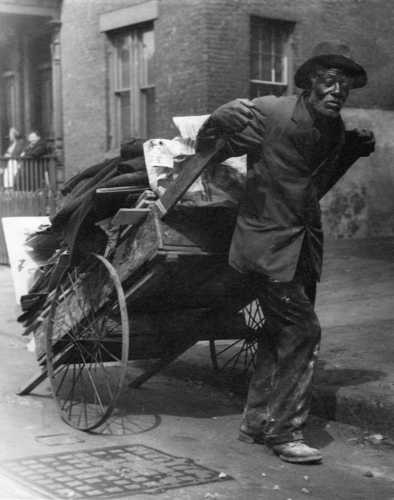 Shown below is “The Rag Man“; Hartford, Connecticut c.1936. It was a common sight for the times. This image is located in the 1930s event.